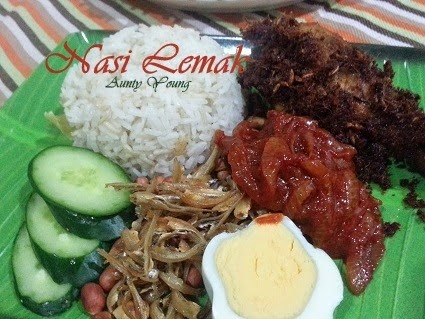 Having cooked the aromatic Malay Spiced Fried Chicken, I decided to cook this home-made Nasi Lemak. 1. Wash the rice and add in coconut milk,water, salt, pandan leaves and ginger slices. 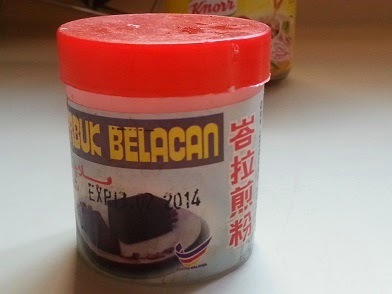 Cook it into Nasi Lemak. 2. Once the rice is cooked,try to fluff the rice with a fork or chopsticks and keep warm in the rice cooker before serving. 1. Heat oil in a wok, add in blended chili paste and stir fry over low to medium heat till fragrant and the oil has separated. 2. Add in onion slices,stir- fry it until soft. Then add in tamarind water and water. 3. 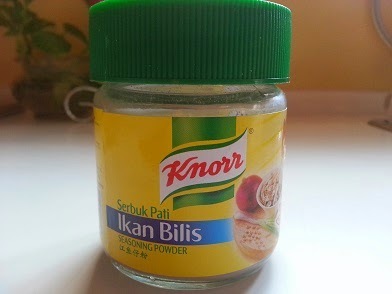 Season with ikan bilis powder,salt and sugar.Set aside. 1. Scoop some rice onto a plate. Serve with some sambal chilli ,fried anchovies, cucumber slices, hard-boiled egg, roasted peanuts and Malay Spiced Fried Chicken. 1. A mortar and pestle can be used in place of the blender. Ground the sambal ingredients into a paste for a much more aromatic sambal chilli sauce. 2. If possible, line the plate with a piece of banana leaf. The Nasi Lemak would taste better with the addition of the banana leaf's aroma. Traditional Nasi Lemak are wrapped in banana leaves. Be it the rice, peanuts, anchovies, boiled egg, sambal or fried chicken, everything tasted wonderful and was a perfect match for each other. My entire family loved it! You make me drool of your whole complete set of nasi lemak. 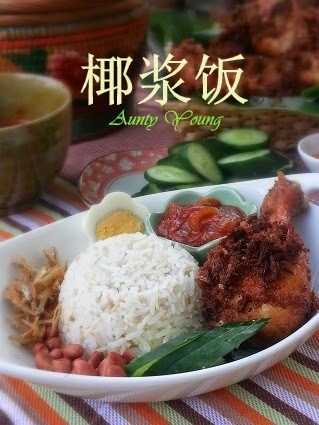 Hi Aunty Young, Nasi Lemak is always yummy. Your NL is really ho liao and ho chiak. Nice. 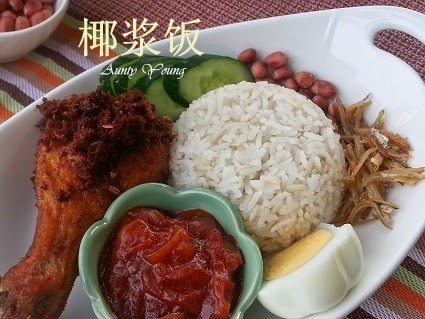 Yummy Nasi Lemak, my favourite. The chicken looks so inviting. 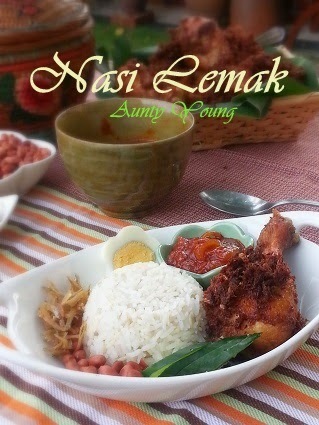 i always tend to get a bit excited seeing a nasi lemak sambal recipe....i will bookmark this to try someday too ! Cheers! nasi lemak is my favourite, yum yum!